Lewis Diaz, a partner with the law firm of Dinsmore & Shohl LLP, Covington, was appointed to a six-year term on the Board in August 2016. Mr. Diaz concentrates his practice on affordable housing and public finance and is dedicated to the goal of ensuring good, safe, accessible, affordable housing for communities nationwide. In his current role and in his previous position as Chief Counsel to the Kentucky Housing Corporation, he has played a key role in the Scholar House initiative. A native of Cuba and a resident of south Florida through his teenage years, Mr. Diaz was an All-OVC offensive lineman for EKU before earning a bachelor’s degree in history and a master’s of public administration degree from Eastern in 2000 and 2002, respectively. 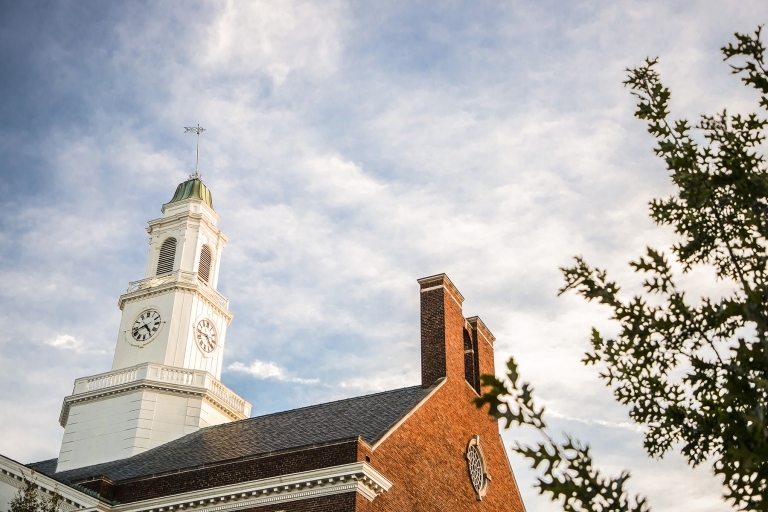 He went on to earn his juris doctorate degree from the Chase College of Law. 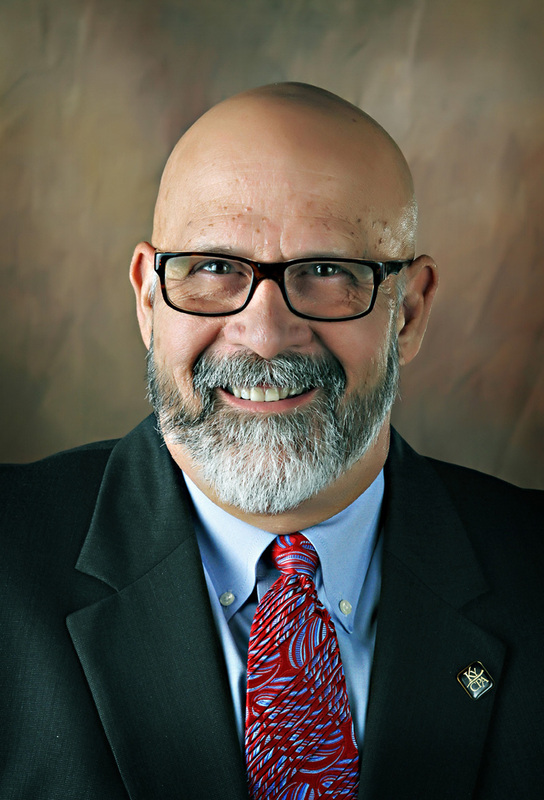 Mr. Diaz also serves as Chair of the Northern Kentucky Area Development District and on the board of the Northern Kentucky Community Action Commission. Laura Babbage, of Lexington, was appointed in March 2018 to serve a term that expires in June 2021. Ms. Babbage, a 1981 EKU graduate, is a member of the University’s Hall of Distinguished Alumni, along with her husband, Bob Babbage, class of 1973. 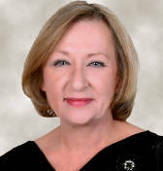 After earning a bachelor’s degree in nursing from Eastern, Ms. Babbage added a master’s degree in international business from the Patterson School of Diplomacy and International Business at the University of Kentucky, and a master’s of divinity degree from Lexington Theological Seminary. She went on to serve as chief executive officer for Urgent Treatment Centers of Kentucky Inc., as regional vice president for Women’s Health Partners Inc., and as a chaplain for St. Joseph Hospital and the University of Kentucky Medical Center. In addition, Ms. Babbage is well known throughout the Lexington area for her volunteer efforts, serving on numerous boards, committees and task forces. Since 1994, she has served as a founding member of the Business Advisory Council in EKU’s College of Business and Technology. 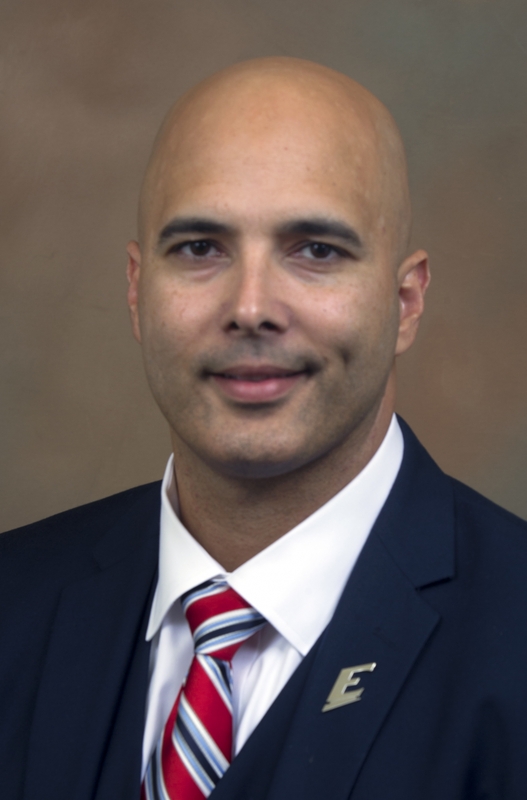 Juan Castro, of Lexington, was appointed to a six-year term on the Board of Regents in July 2017. Mr. Castro is a Managing Partner at JCC Accounting Solutions, and a founder and Partner at JCC Consulting Group. Mr. Castro earned an MBA degree in 2000 from Eastern, where he served as Director of the Accounting Tutoring Center and occasionally taught lower-level accounting classes. Upon graduation, he worked for Potter & Company CPAs, now Blue and Company. He went on to serve as Vice President of Finance and Administration at Bluegrass Community and Technical College and on the Committee for Equal Opportunity at the Council on Postsecondary Education 2012-16. Mr. Castro also serves as Acting Chair of the Lexington Hispanic Education Association, a non-profit focused on helping Hispanic students set and achieve their educational goals. The Quito, Ecuador, native emigrated to the U.S. when his father was appointed to the Ecuadorian Consulate in Houston, Texas. He earned his bachelor’s degree in hotel and restaurant management from the University of Houston and moved his family to Kentucky in 1994 to work for the Seelbach Hilton hotel in downtown Louisville and then in the accounting department for St. Joseph East Hospital. 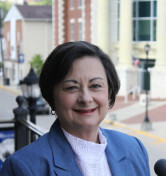 Nancy Collins, a partner with the Hazard law firm of Hollon and Collins, has had a general civil trial and appellate practice in the Perry County seat since 1982. Shortly after earning her baccalaureate and law degrees from the University of Kentucky, she served as Assistant Attorney General of Kentucky, 1978-82, and then as Assistant Commonwealth’s Attorney for the 33rd Judicial Circuit, 1982-91. She was Governor at Large for the Kentucky Justice Association 1993-97 and its 7th District Vice President 1997-2011. She was appointed in 2009 to a six-year term on the Board of Regents, for which she chairs the Internal Affairs Committee. Dr. Jason W. Marion is an associate professor of environmental health science and a proud first-generation college graduate. Marion earned master’s and doctoral degrees in public health from The Ohio State University, specializing in environmental health and epidemiology. He also hold bachelor’s and master’s degrees from Morehead State University in environmental science and biology. His post-secondary education journey at Hocking College in Ohio, where he earned a two-year degree in Recreation and Wildlife Management. Marion’s board experience includes service as a 2008 gubernatorial appointee to The OSU Board of Trustees and as a twice-elected student regent on the MSU Board of Regents. Prior to EKU, Marion served 13 years across the Ohio Departments of Natural Resources and Agriculture, as well as the Kentucky Division of Forestry. Marion also served OSU as an infectious diseases fellow and post-doctoral scholar. Marion is active professionally, having served as President of the Association of Environmental Health Academic Programs, and authoring 19 journal publications on preventive medicine, water quality and workforce development. As an EKU educator, Marion earned the 2017 Critical Thinking Teacher of the Year and 2019 Critical Reading Teacher of the Year honors. Alan Long, CPA, CITP, CGMA, managing member of Baldwin CPAs, PLLC, in Richmond, was appointed in January 2014 to fill an unexpired term that ends in June 2014. 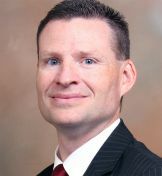 The 1979 EKU graduate (bachelor’s degree in accounting) was named a Distinguished Alumnus of the University’s College of Business & Technology in 2005. In 2012, he was named by Accounting Today as one of 10 managing partner elite in its inaugural selection. For more than 30 years, Mr. Long has actively served the Kentucky Society of Certified Public Accountants, including a term as president, and received the Outstanding Committee Chair Award in 2003 for his work with the Peer Review Program. He also has been actively involved with the American Institute of CPAs Peer Review Program, twice receiving the AICPA’s Outstanding Discussion Leader Award. Mr. Long was appointed in 2010 to a four-year term on the Kentucky State Board of Accountancy. 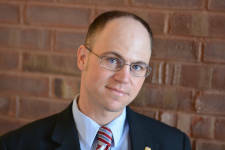 Bryan Makinen was elected by his peers in June of 2014 to serve as the Staff Regent. He is currently the Executive Director of Public Safety & Risk Management for Eastern Kentucky University. Bryan earned an undergraduate degree in Industrial Safety and Risk Management and a Master of Public Health degree, both from Eastern Kentucky University. During his time at Eastern, Bryan has served on various committees to include Benefits Advisory, Emergency Preparedness, Environmental Health & Safety, Responsible Environmental Stewardship, Laboratory Safety, and the Registered Student Organizations Risk Management Committee. He also has been actively involved with Madison County where he has served as the Chairman of the Local Emergency Planning Committee since 2007 and as a member of the Chemical Demilitarization Community Advisory Board. Lynn Taylor Tye, owner of Blue Moon Insurance Agency in Danville, KY, is a 1977 graduate of Eastern KY University earning a BBS in Accounting. She has enjoyed a varied and challenging career in accounting before purchasing the insurance agency in January 2014. Lynn began her career at the Council of State Governments in Lexington, KY and then focused on manufacturing accounting at General Cable in Lawrenceburg, KY. She then moved back to Danville to take a position at American Greetings Corporation to help decentralize the accounting functions from corporate headquarters to the local level. After leaving American Greetings Lynn worked part time at Robinson, Hughes, & Christopher, CPA's and at The Presbyterian Church of Danville in various accounting positions. She continues to enjoy the many community service opportunities Danville offers. She currently serves on the Danville-Boyle County Chamber of Commerce Board of Directors and is a member of the Steering Committee for Leadership Boyle County . She was a founding Board member for The Wilderness Trace Child Development Center and has served on the Board of Directors for Pioneer Vocational Services, The Heart of KY United Way where she was awarded the local and State Volunteer of the Year award, The McDowell Foundation, and The City of Danville Cemetery Committee. Lynn and her husband Tom, who received his MBA from EKU in 1978, live on Blue Moon Farm in Danville. Vasu Vasudevan, who was appointed to a six-year term on the EKU Board of Regents in August 2016, has 25 years of experience in Information Technology, Consulting and Project Management for both the private and public sectors. The Frankfort resident has remained active with his alma mater, serving on the Eastern Kentucky University’s International Alumni Association Board of Directors and also as a Vice Chair of the Alumni Programming and Student Success Executive Committee. Mr. Vasudevan is active on numerous boards, including serving as a Board of Director for the PMI Bluegrass Chapter as Vice President of Strategic Planning. PMI serves the needs of the project management community. 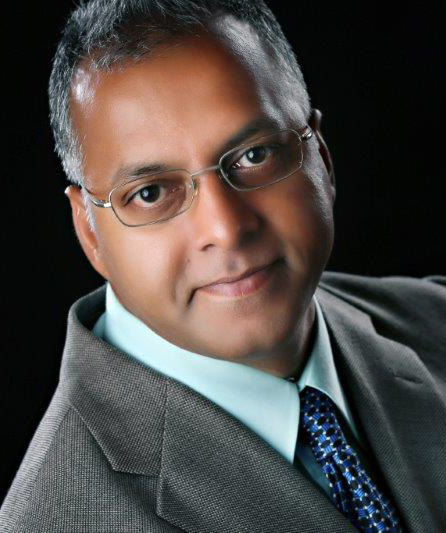 In addition to his Certified Kentucky Paralegal (CKP) credential and Project Management Professional (PMP) credential, Mr. Vasudevan holds a Bachelor’s Degree in Electronics and Communication Engineering and an MBA from Eastern Kentucky University. 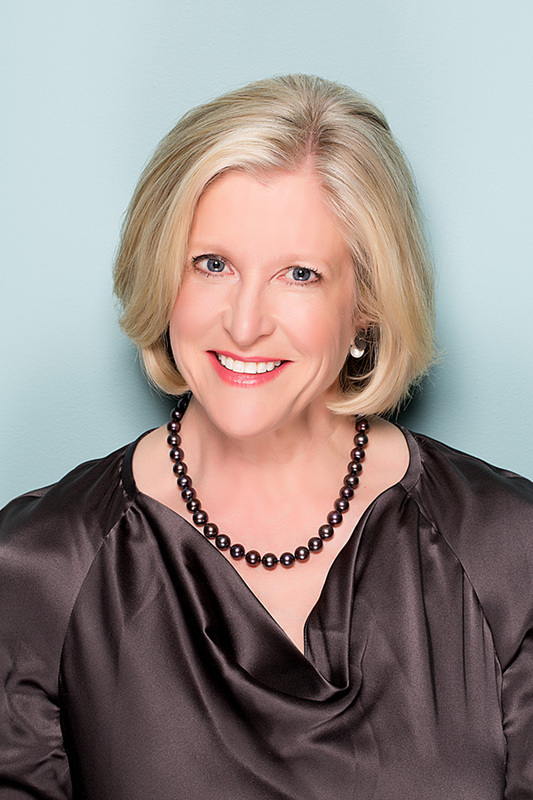 Holly Wiedemann, Wilmore, founder and president of AU Associates Inc. of Lexington, was named to the Board in January 2014 and will serve through June 2019. Founded in 1990 on the principles of adaptive use, AU Associates has focused on opportunities for urban infill, as well as the revitalization of existing structures. The National Association of Women Business Owners 2011 Business Owner of the Year, Ms. Wiedemann has been responsible for a wide range of projects, serving as financial analyst, project manager and developer while concentrating on the renovation, creation, adaptive reuse and development of affordable housing. In addition to development, AU now constructs and manages its projects. Ms. Wiedemann earned a bachelor’s degree in Environmental Design and Land Use Planning from the University of Georgia and a master’s degree in Business Administration from Duke University. She is active on numerous boards in central Kentucky, as well as the Business Advisory Board of the Federal Reserve Bank of Cleveland. Ryan Wiggins, a pre-law senior majoring in political science and psychology from Georgetown, KY, was sworn in as a member of the Board of Regents in September of 2018. Mr. Wiggins joined SGA as a Senator in the Spring of 2016, and was elected Executive Vice-President for the 2017-2018 academic year before being elected as the Student Body President for the 2018-2019 academic year. He also serves as Captain of the nationally ranked mock trial team and as the President for Eastern's chapter of the Sigma Nu Fraternity. 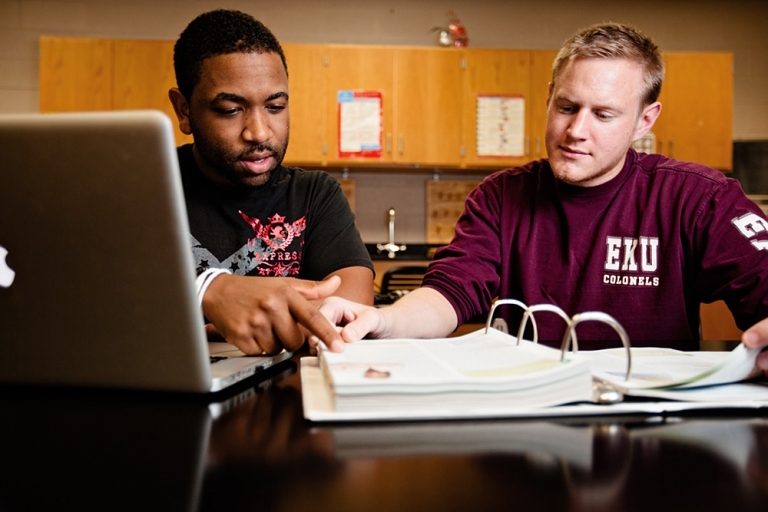 After graduating from EKU in 2018, Mr. Wiggins plans to attend law school to attain a Juris Doctorate degree.